During the summer months, most parts of Italy can get uncomfortably hot, and the southern region of Puglia is definitely no exception. July and August are usually the hottest months in Italy, although June is sometimes prone to heat waves and September can be pretty hot too. Summer temperatures in Puglia can creep into the low forties, which can become rather inconvenient! 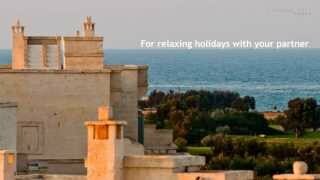 It’s wonderful to experience the summer climate in Puglia, but when it gets that hot? It’s time to avoid the heat by seeking out some cooler destinations in the area. During the summer months and Ferragosto, Italians tend to flee the cities and head for the beach. Taking a refreshing dip in the sea can definitely cool you down, but what happens when you get out? Burning sand and lots of sweating- even under your beach umbrella! If you are really keen to head to the sea though, then why not seek out a beach with a difference? Take Porto Selvaggio for example, which is an intimate beach with crystal clear waters, located not too far from Gallipoli. What makes it really special and perfect for the hot summer months, is the fact that it’s surrounded by a lush pine forest, which offers recluse from the scorching sun. Just one bit of advice though; make sure you wear some decent shoes, as the climb down to the beach is not really suitable for flip flops. The cool, relaxing atmosphere makes it all worth it though. There are some gorgeous hotels in the area too. 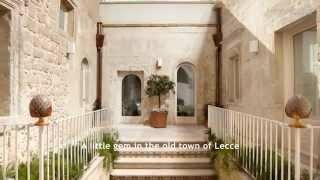 Why not try the informal and laid back ambience of the Masseria Li Foggi? Or if you’re keen on a real touch of elegance and prestige, then the five star Hotel Palazzo del Corso is definitely up your street. 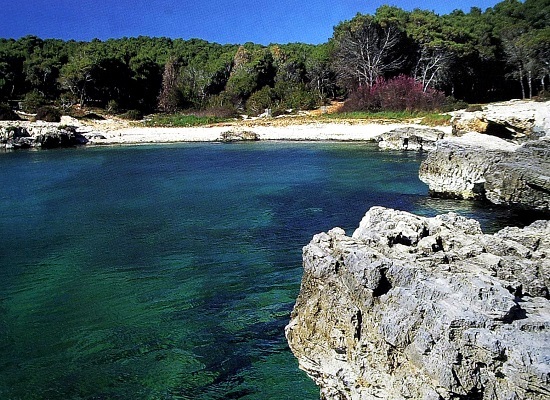 In the North East of Puglia you will find the Gargano Promontory, which offers a wonderful, diverse environment. Its highest point is Monte Sant’Angelo, which has a charming historic centre and is located at a cooler 840 metres above sea level. Vico Garganico is very well known for its incredible Pizzicato bakery; home to some truly scrumptious cakes and ice cream, and Peschici provides you with stunning sea views. The best part about the Gargano during the summer months though? 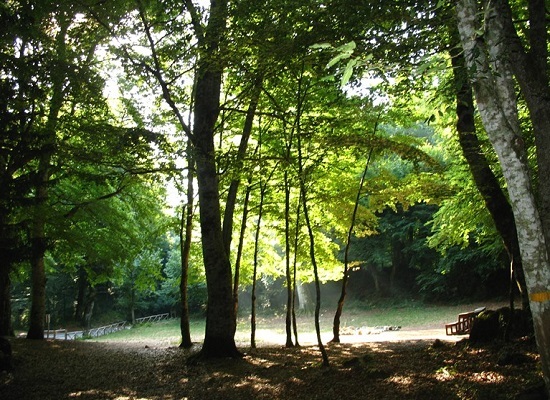 The Foresta Umbra. This beautiful national park can be found at the centre of the peninsula and is the perfect place to escape the heat. There are loads of hiking trails available, so get ready to explore! Located in the heart of the Gargano is the exclusive Baia dei Faraglioni Beach Resort, which is home to elegant rooms and also offers luxury excursions all around the area. And if you’re really in need of some respite from the hot temperatures, then why not head underground? 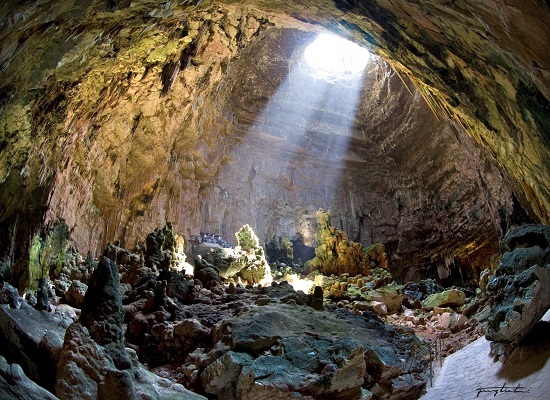 The Castellana Caves, which can be found about 40km from Bari, are a must see for any visitor to Puglia, whether it’s hot or cold outside! This vast complex of underground caves are full of impressive stalactites and stalagmites, and have one of the most beautiful grottos in the world: The White Grotto, which is 70m below ground. There are tours available, but make sure you wear comfy shoes and yes, do take a jumper because it’s pretty chilly, even on the hottest day! There are several accommodation options in the province of Bari, including the Mare Resort with its amazing coastal views, or the luxury design hotel Le Alcove in charming Alberobello. So, how are you going to choose to keep cool this summer in Puglia?